Both UTP and STP are widely used in transmitting information across distance. UTP is a cable with wires that are twisted together to reduce noise generated by external source. On the other hand, STP is a twisted pair cable with an additional mesh shield that guards the cable against electromagnetic interference. Thus it can also eradicate a phenomenon called crosstalk. Because of the incorporation of additional shield, data transfer rate of STP is higher than UTP. The installation of STP cables is difficult as the cables are bigger, heavier and stiffer. 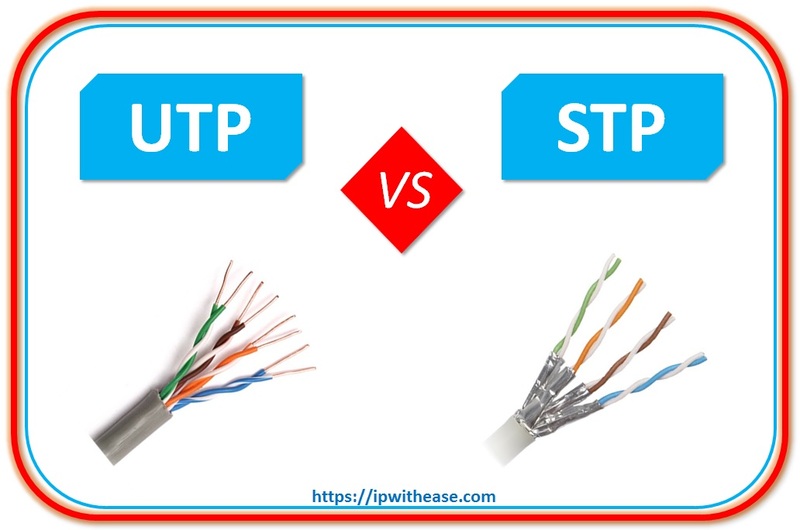 STP cables also require grounding, while no grounding is required in UTP. UTP cables are thus comparatively cheaper than STP.